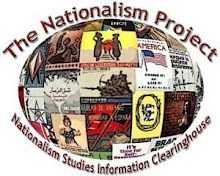 The Nationalism Project Blog is an extension of http://nationalismproject.org. Adding to my post yesterday, Nick Griffin added to his remarks on Question Time by saying that London has been "ethnically cleansed." You can read more here. At least he makes classifying the BNP very easy. Eric is Assistant Professor of European History at the University of New England, Special Graduate Faculty at the University of Guelph, Ontario, and Adjunct Graduate Faculty at Union Institute and University. He is co-editor of Nationalism in a Global Era: The Persistence of Nations (Routledge, 2007) and is author of Making Ireland Irish: Tourism and National Identity since the Irish Civil War (Syracuse University Press, 2009).